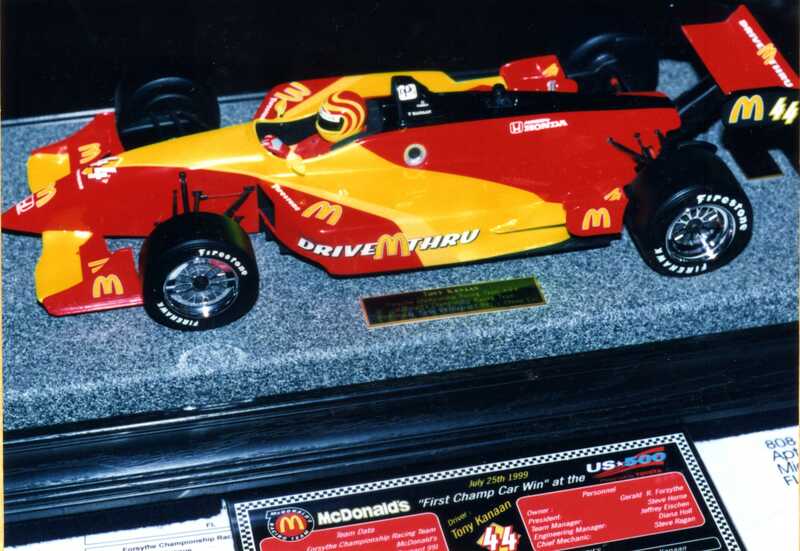 1999 "Forsythe Championship Racing Teams" ran a second team, with the new McDonald's sponsorship. It was the #44 Car driven by a then newcomer to Champ Car, Tony Kanaan. During that season, Tony got his "First Champ Car Win" at the U.S. 500, and 25 Limited Edition models in the road course version, were commissioned by Mr. Forsythe. 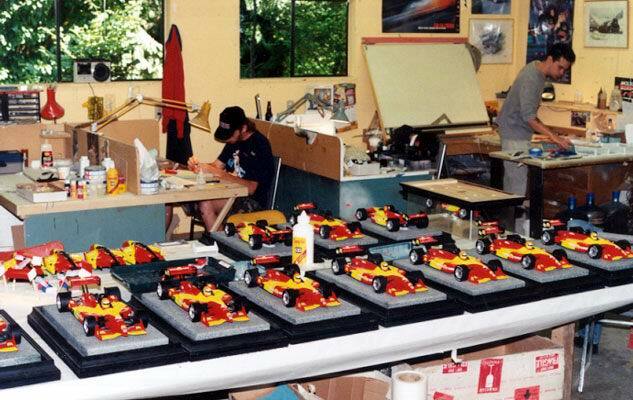 Additional 1:10 scale "Limited edition" models were also commissioned by Mr. Forsythe that year, of the #44 car, in the super speedway version, to commemorate Tony Kanaan's "First 500 Mile Win". At the time of publishing this page, I could not find my pictures of those particular models.